At first sight, it may appear the guys at Razer have made a black Macbook Pro Retina. 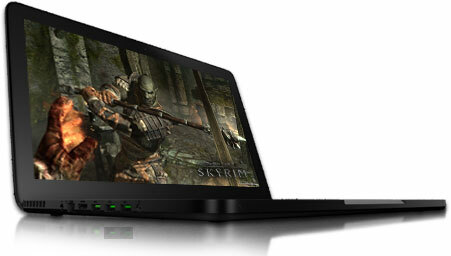 Design and comparisons aside, the 2013 edition of the Razer Blade is much more than that. This 14-inch laptop combines the weight and size of a small, affordable laptop, with the power required for mid/high-end games. Sacrificing performance – especially graphical- over size is one of the most common issues among laptops. And while it’s true that the latest generation of graphics cards featured with the new Intel Haswell processors have greatly improved in this regard, there’s still a lot of room for improvement.